Bowling is a wonderful, fun-filled, recreational activity and competitive sport enjoyed by all ages! 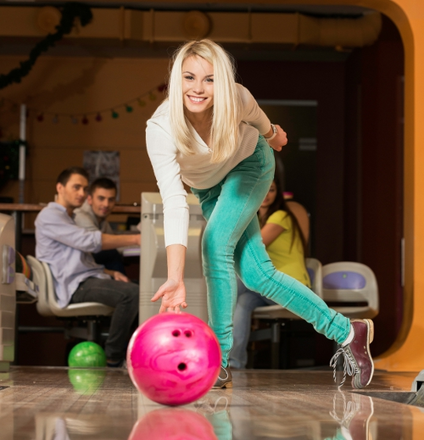 From the thrill of rolling a strike to the sounds of rolling balls and crashing pins, Bowling isn’t only a sport; it’s a night out while entertaining and creating lasting memories with your friends and family. Sunset Bowling is a renowned landmark and bowling ally in San Marcos, located right across the street from Goodnight Junior High School. Ever since 1959, the Gilbert family has kept the 24 wood lanes up to date with computerized scoring systems. The smoke free facility is perfect for your next party or event.